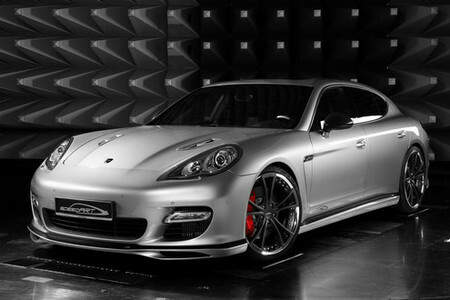 speedART has just released one of the best tuning packages for the Porsche Panamera so far! 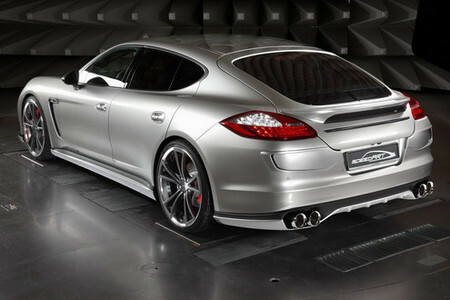 Dubbed the PS9-650, it is based on the Panamera Turbo and comes with a range of exterior, interior, and performance modifications which set it apart from the competition. As you might have already guessed, 650 in the car’s name refers to the its horsepower figure. To achieve this the tuner has installed bigger turbochargers, high performance air intake, and also updated the ECU’s software, so they managed to get another 150 hp more than the standard car out of it! Although it’s a luxury saloon, its performance is more supercar-like: 0-100 km/h in 3.5 seconds, and top speed of 320 km/h. You can enjoy a sport driving while making yourself comfortable in the car’s welcoming interior which is garnished with high quality leather upholstery and wood trims. You also get a sport steering wheel. Wrapping up this amazing package is a nice body kit which includes front spoiler lip, side skirts, a magnificent rear diffuser which has quad integrated tailpipes, and a fixed rear wing.